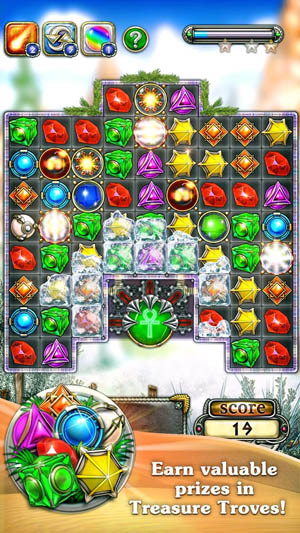 Burst jewels in the exciting new match 3 game! Jewellust Platinum is a premium edition of our game Jewellust Endless. Tired of waiting and want to play more? 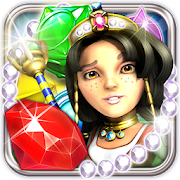 Install Jewellust Platinum: unlimited lives, no annoying ads, 150 coins for free! Go on a fascinating journey through deserts, oases of Ancient Egypt, jungle, pirate seas and dungeons! 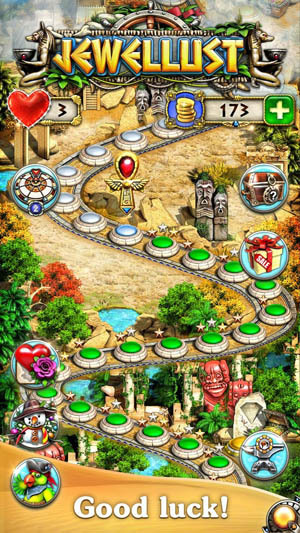 You will explore pharaoh’s treasuries, magic spells and unique artifacts that make the game even more interesting. 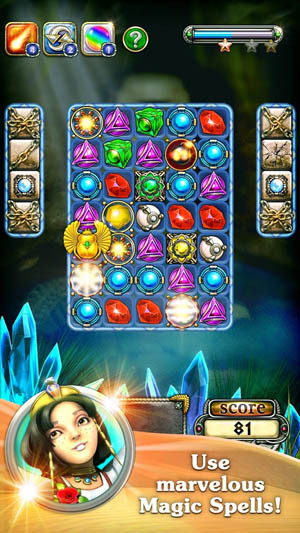 Unique combination of features sets Jewellust Platinum apart from other games in the genre of "match 3". This jewel game will bring you a lot of fun and you’ll definitely love it!